NOTES: The teams split their four regular-season meetings. 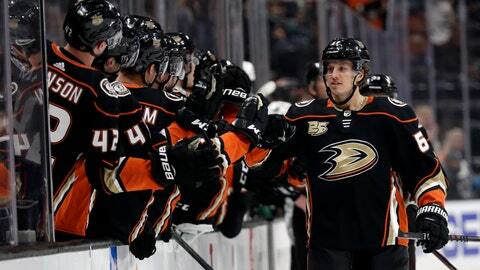 … Anaheim reached overtime 13 times in its first 24 home games, but this was the first time since Jan. 9 against Ottawa it had been tied after regulation at the Honda Center. The Ducks are 6-6-2 in OT home games. … San Jose is 4-3-1 in overtime road games. … Anaheim C Ryan Getzlaf had an assist on Rakell’s goal, and has six points (one goal, five assists) in the past four games.